Toys are an important part of childhood play. However, they have a much more serious purpose than to simply keep children entertained; they also help a child to learn and play a role in their development. The best toys will stimulate a child’s senses and let their imagination run wild. 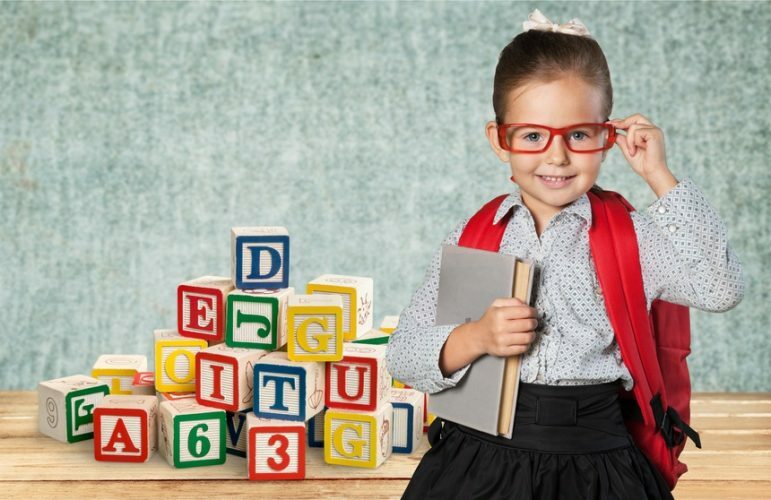 Here are some of the educational benefits of toys for children. Two of the most important elements of learning are literacy and language as these will impact on most other areas of learning. Reading, writing, and verbal communication are the different aspects of literacy and language. Any toys that involve the use of the written word or those that create sounds or songs have the potential to support language and literacy development during play. Similarly, toys that encourage children to copy sounds or songs can help a child with their speech and vocabulary. Furthermore, any toys that involve interaction with other children or adults can also contribute to improving literacy and language skills. Any toys that require counting clearly help with numeracy. However, toys can help with numeracy development in many other ways. For example, musical toys can help children to learn number sequences as well as counting. Other toys that have either written or verbal elements can teach children basic mathematical terminology. Toys that recreate life scenarios, such as a shopping till or a play post office, teach children about math topics such as money, weight, and measurement. Even simple toys, such as building blocks or jigsaws, will get children thinking about shape, numbers, area, order and logic. Education is not just about reading and writing; it is also about learning how to interact with people and how to respond or behave in different social situations. If children are playing with toys together, they must communicate well with each other. During their play, they will learn about sharing and taking turns in conversation. Even when playing alone, a child can develop their social skills. A fantastic toy to help children learn these skills is a dollhouse. 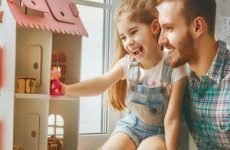 When playing with dollhouses for kids, children will create real life situations and act out conversations between their dolls. The best dollhouse to encourage this type of play is one with several rooms and enough room to fit more than one doll as this will help children to act out life scenarios. Improving motor skills is an important part of a child’s development and learning. Motor skills are divided into two categories; fine and gross. Fine motor skills are those that involve smaller, more detailed movements, such as writing or picking up small objects. Gross motor skills are larger actions, such as jumping or catching a ball. When children are having fun playing with their toys, they will naturally begin to develop these skills without noticing. The best toys for developing fine motor skills are those that require attention to details, such as art and craft kits. Ball games are great for improving gross motor skills. There are many more skills that children will learn when playing with a wide range of toys that stimulate the senses. Some of these skills include critical thinking, decision making, expressing emotions, communication, ICT skills and problem-solving. These are just some of the ways that toys are educational for children. Each toy can support a different element of a child’s learning or development while also giving a child lots of pleasure. You do not necessarily need to buy toys that are specifically designed for educational purposes as most toys, whether this is a dollhouse or a football, can in some way contribute to educating a child.